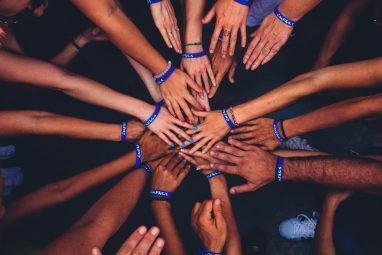 If many of your Twitter followers have become strangers, spammers, and social annoyances, it might a good to time to cut back your “friends” list. This is just what web and mobile app JustUnFollow aims to help you do. There are other methods for filtering annoying people on Twitter How To Silence & Filter Annoying People On Twitter Without Unfollowing How To Silence & Filter Annoying People On Twitter Without Unfollowing When it comes to social networks, Twitter is as noisy as it gets. You’d think the 140-character limitation would make it quiter, but in reality, it’s pretty much the opposite. This makes Twitter a hard... Read More without unfollowing them, but JustUnFollow (also available free for iPhone and Android) specialises in severing ties and more. It generates a list of your recent followers, unfollowers, and inactive followers, then gives you the option of picking who you still want to keep in touch with. The service also provides many of the same features for Instagram contacts. If you use Twitter as more than a casual social space, it’s important that you pay attention to who you’re following and who is following you. As your list grows into the hundreds or thousands, your Twitter stream may become less useful if it contains messages, links, and other content not of use to you. Often times you get spammers and other people who follow you, and then they unfollow a few days you when you follow back. Their goal is to build followers rather than become one of your many tweeps. When you register on JustUnFollow, it can you provide you with a list of so-called tweeps who will likely unfollow you. JustUnFollow also provides a list of your “Fans” – people who are following you, but you are not following back. Be careful about who your “fans” are – it’s worth taking the some time go down that list to see which “fans” might be of interest and which might be spammers. Watch for number of tweets, how many followers they have, and if you possible, check out the content of their stream before blindly following back. I don’t consider myself a particularly savvy Twitter user, but I soon realized the “Inactive Following” list would be a good place to start weeding out people I no longer need to follow. I discovered there were at least 75 people on that list who according to JustUnFollow had not updated their stream in the last six months, and so it was an easy choice to unfollow them, and reduce my list to make room for more engaged users. JustUnFollow allows you to sort the list by one, three, to six months of inactivity. The listing includes the exact number of weeks the account last updated. The service also allows for adding tweeps to either a Whitelist or Blacklist. When you add someone you’re following to your whitelist, they won’t appear on your unfollow list until you remove them. Users you unfollow and don’t want to see again anywhere on JustUnFollow should be put on your blacklist. JustUnFollow can email you your new and lost follower stats on a daily or weekly basis, depending on how much you care. You can enable also an automatic Direct Message be sent to those who follow you – a feature that can be useful for business users and others who use Twitter for client networking. JustUnFollow offers a free account that provides reports about one Twitter account, 25 follows and 100 unfollows per day, and the ability to add 50 users to a whitelist or blacklist. Based on what JustUnFollow has to offer, and if you seek to make your Twitter account(s) more useful, you might pay for a month’s worth of premium usage (starting at $9.99) and see what difference it makes to your brand, project or flat-out social life. 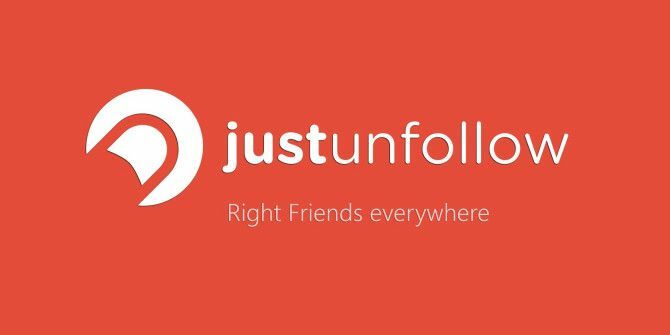 If you’re like me and are looking for ways to become more Twitter savvy, JustUnFollow is worth trying out – if only to cut back the dead wood. 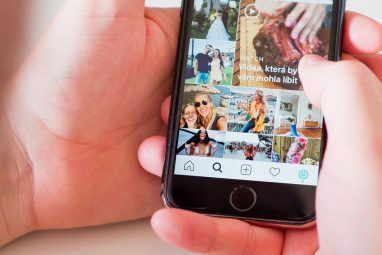 The site also includes a blog with tips and strategies for making better use of Twitter and Instagram. Let us know what you think of JustUnFollow, and if you use it let us know how well it works for you. Explore more about: Instagram, Twitter. As I have understood, it is something like zen-promo.com? But without the search of followers? Little strange. I am not sure that it will get popular. Thanks for sharing! I really appreciate your article and your unfollowing experience. In any case, I've tried justunfollow about three months ago and when I used it, I backed down on my plans to enjoy it. Thanks God my brother adviced Zengram, which provides real followers and has the widest set of tools. Btw, unfollowing is among them. I think that JustUnfollow is good for new users, who don't appreciate speed of work. And for advanced users like me fast-unfollow.com is the best. Its speed of work is much more higher, up to 5000 unfollows a day and the price is cheaper. Besides the fast-unfollow.com has more convenient interface. It doesn't have inactive following feature that you described in this article. Hmmm, I see it in the sidebar of the app, under the Recent Followers item. Thanks a lot for writing about JustUnfollow. We're in the process of building JustUnfollow into a growth platform for social networks. While cleaning is the first step to remedy some of the wrong follow decisions you may have taken, our aim is to make sure you do not repeat the same mistake again and grow the right way. Thanks, Nischal. I wish there were also a JustUnFollow for LinkedIn. Somehow I clicked on a button that resulted in me getting 25+ confirmed follows in the last 24 hours. That site collects way too much information about about users, especially if you're not careful about what what you click and the information you provide. 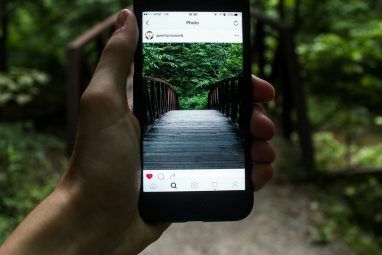 Will you be adding the inactive following feature for instagram as well? Good app but this would make it better!